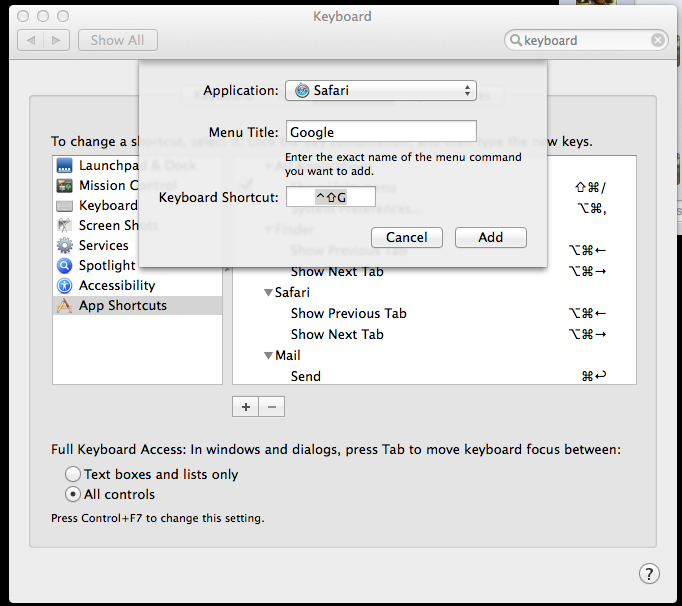 If you're a Mac user, there's a good chance you've realised how deep-rooted keyboard shortcuts are in OS X. If you haven't, check out Apple's support article listing most of the basic ones. What you may not have realised yet however, is that you can create your own shortcuts. 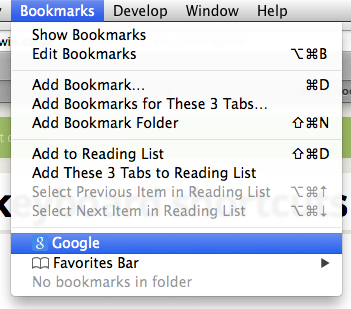 You can do this for just about any application you have, including - as the title suggests - bookmarks. That's it! Now head over to your browser and try it out.